Do you support looked after, adopted & vulnerable children? The fact that you have visited this page tells me that you are committed to giving the children in your care the best start in life you possibly can. 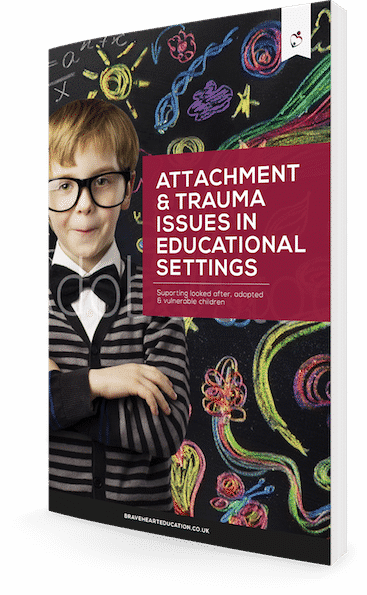 I have created this easy to read e-book full of top tips on Attachment and Trauma Issues within educational settings that I know will really help you understand these children more. All you need to do now is fill in your details below and I will send you copy of the book. I’m so pleased that you are interested in the work of BraveHeart Education as I am really passionate about getting this message out to as many professionals as possible. The core message is that that children who have experienced trauma in their lives need a different approach within our educational settings.